Language: French and Arabic. The "people's" language is a dialect of Swahili (itself a dialect of Arabic) which in Mayotte is called Mahorais. Population: About 195,000. Overwhelmingly Muslim, except for a minority of French Roman Catholics from “metropole” France. Money: The Euro. About €0.70/US$ or US$1.40/€ in 2009. 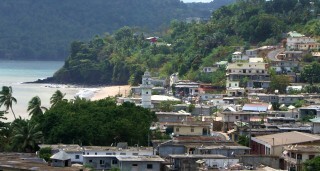 Landscape: Less than 400 square kilometers of hilly, forested islands, most on Grande Terre (356 sq km). Mayotte is comprised of 3 main islands set in one of the world’s largest lagoons, within a fringing reef. There are numerous smaller (mostly uninhabited) islands inside the lagoon. Visited: July 24 to 30, 2009. Be sure to check out our Mayotte Newsletters for more of our stories and photos about our sail to Mayotte from South Africa, and our adventures ashore. Cruisers, see our Mayotte Cruising page for the practical bits. 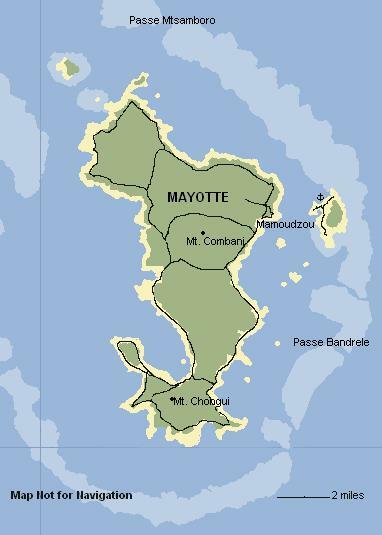 Brief History: Mayotte is one of four islands in the western Indian Ocean that are collectively called the Comoros (or Comores). Their histories are closely linked. 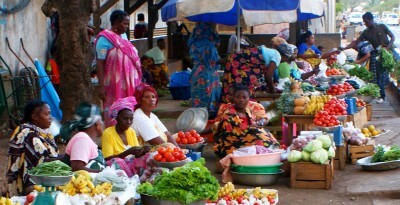 Although some believe that the earliest inhabitants of the Comoros came from Southeast Asia (the same peoples who settled nearby Madagascar) there is little evidence of them today. By the 15th and 16th centuries the traders from Persia (Shirazis) and Arabia had settled the islands, created sultanates, and established a flourishing trade with ports on the coast of East Africa. Trade involved animal hides, weapons and spices. On the dhows came slaves or indentured workers taken from inland Africa. Many of these people either escaped or bought their freedom and added an African element to the gene pool, still in evidence today. Although European sailors and explorers were aware of the islands, they pretty much left them alone for several more centuries. The biggest worry was the pirates from Madagascar who raided the villages and claimed women as their booty. In addition, warring sultanates created havoc in the islands deep into the 19th century, when the French began to take an interest in the islands. In the mid-1800's Sultan Adriansouli sought French protection from his enemies, and in 1843 the island of Mayotte was ceded to France. It became a full colony, and the French created plantations on the tropical hillsides. 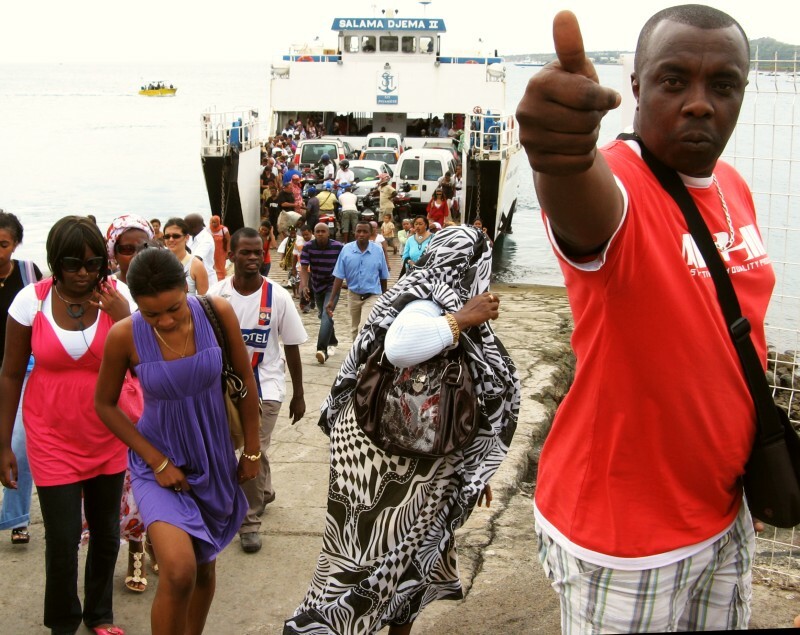 More than a century later the other Comoros Islands sought full independence, but in a referendum in 1974 the people of Mayotte (known as Mahorais) voted to remain a part of France. The French Foreign legion was sent in, along with several warships, and while the other Comoros Islands became independent, Mayotte remained staunchly French. Two years later, with chaos on their neighboring, newly independent islands, 99% of Mahorais voted in another referendum to remain French. The island is now in possible transition from being a “collectivité territoriale” to a “département d’outre mer”, or overseas department, with even closer ties to France. Our Impressions: When sailing into Mayotte one is struck by how well the French chose their colonies overseas: another beautiful tropical lagoon with lush, hilly islands, reminiscent of the Society Islands of French Polynesia, and New Caledonia, in the Pacific Ocean! The fringing reef is quite extensive on all sides except perhaps the western side, where it has several extensive gaps. Still, there's lots of excellent protection inside the lagoon, and undoubtedly some excellent diving as well. But ashore, o la la! What a difference! We felt immediately intrigued by this Arab/African culture. The women are dressed in beautiful fabrics, often with sequins on bright colors. The men may be wearing “kofias”, elaborately embroidered skullcaps. In the open market near the ferry terminal you can find abundant fruits and vegetables from the tropics, and the heady scent of spices as though one is in the souks of Middle East. But overlying it all, one hears the rich mélange of French and the Mahorais dialect of Swahili, sees young women dressed in Parisian fashions (without head scarf or flowing robes! 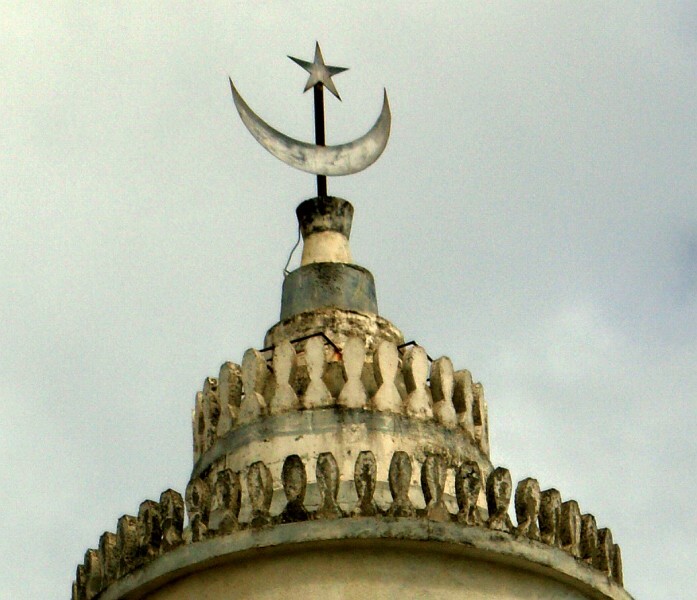 ), and 5 times a day the muezzin at the nearby mosque calls the faithful to prayer. Beautiful and fascinating! That’s Mayotte. 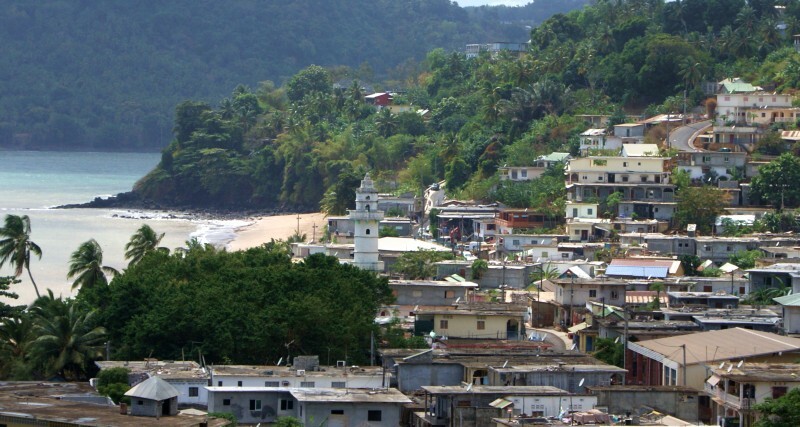 We spent several days traveling back and forth by "Le Barge" (the inter-island ferry) from the anchorage off Petite Terre to the main town of Mamoudzou. That in itself, was an adventure and a feast for the photographic eye. In the town we found the open air market, an up-scale deli for lunch ($32 each), and the main supermarket. Having taken care of all the "boat" things, we rented a car and did a "grand tour" of the main island "Grande Terre". Driving counter-clockwise over the top we passed the large container port and were surprised to see a few yachts anchored near there. The coastline is wonderfully convoluted and hilly, so there was always a new view around each corner. The second largest town, Mtsangamouji on the west coast was a wonderful jumble of shops, houses, mosques, and winding roadways over the blue lagoon. In one town we passed a funeral gathering where the family gave out small sacks of snacks and canned soft drinks. We had lovely, but expensive lunch ($40 each!) at a resort on the south coast, on the beach under huge baobab trees. In the forest near the car park were a troop of lemurs, a species endemic to Mayotte. They were tame enough to be fed bananas by hand while perched on our shoulders. Totally cute animals with very human-like hands and thick, soft fur like a well-groomed cat! Our second day in the car we drove inland and UP to a forest reserve near Mt. Combani, the highest point on Mayotte, where we took a lovely 2-hour hike on the ridge-line. Dense rainforest with the sounds of eagles overhead gave way to secondary forest with wild lemurs (no eating out the hand for these guys) and some great views down to the coast of Grand Terre. Mayotte is apparently criss-crossed with an excellent trail system that we'd have liked to explore more completely. For more information and photos, see our Cruising Mayotte page. To follow our sail from South Africa to Mayotte, up the Mozambique Channel, see our Mayotte Newsletters.